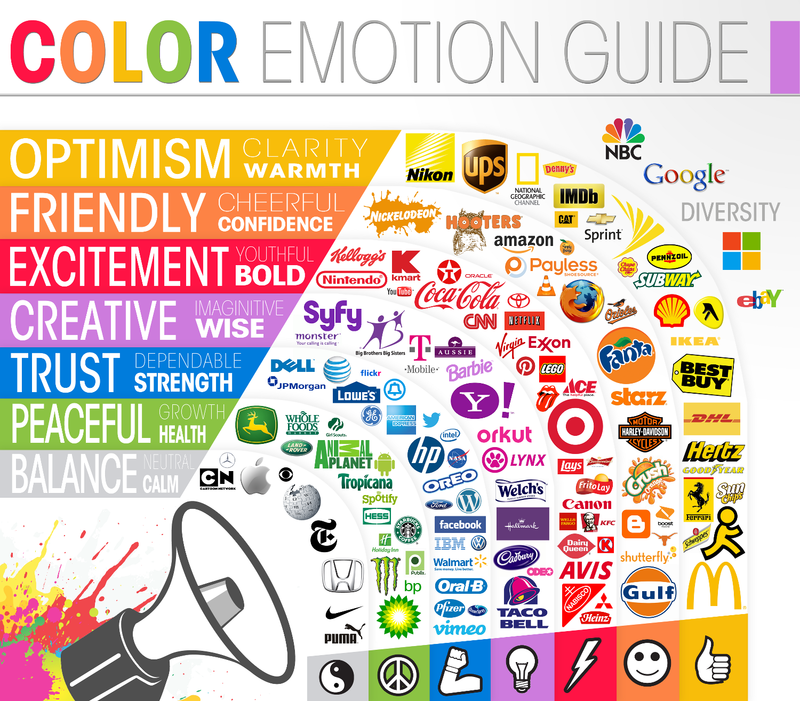 What Do Your Brand Colours Say? How much thought do you give to the colours you use to promote your brand? The colour scheme you choose is a key part of your branding strategy. The colours more than anything else will be what your customer remembers, and they will become identified in your customer’s mind with your company. It has been known for many years that colours can evoke a variety of emotional responses in consumers. The difficulty for marketeers is determining which colours will consistently produce the desired emotional effect in different people. A colour that feels warm, friendly, and reassuring to one person may produce an entirely different response in someone else. There are many reasons for this variation. Cultural background, gender, and life experiences all play their part in how we respond to colours. There are however some basic colour traits that are generally true for most people; red is often used to convey excitement, brown is commonly identified with hard-wearing, ruggedness, while purple suggests regal sophistication. Does the colour match your brand? One point that is well established is that the colours that work best for brands are colours that consumers view as being ‘appropriate’ to the product being sold. Do you want people to view your brand as fun or serious? Practical or fashionable? 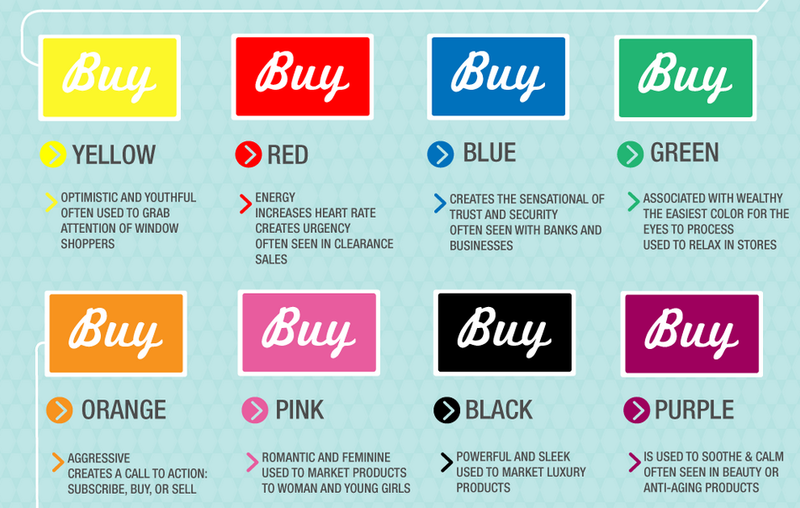 The colours you choose define your brand in your customer’s mind. One area where this appears clearly is with products that are marketed in a gender specific way. Products targeted at male consumers are often produced in either bright vivid colours, or in shiny workman-like colours. You don’t generally find pink drills in the DIY shop. Similarly, products normally marketed to women often feature softer colour tints as research shows these are more popular with female consumers. The marketplace is usually crowded with many different brands competing for attention. If you are going to become established you need to find a way to stand out from the crowd and differentiate your product from the competition. One of the easiest ways to do this is by choosing a contrasting colour to the one your competitors are using. Select a colour scheme that is appropriate for your brand while still being different enough to stand out from your competitors. Once you have your chosen colour scheme you need to stick with it. You want your brand to be instantly recognizable across all of your marketing material both on and offline. If a potential customer picks up one of your printed leaflets they should be able to identify it by the colours and style you have used. The same needs to be true online. consciously brand our company website and social media channels in your company colours. The key to success is being remembered by your customers. They may not need your products at the moment they see your advert but if you can make your brand memorable enough when they do need what you are offering they will recall your company and buy your products. This entry was posted in Attracting Customers, Branding and tagged brand colouring, brand colours, brand identity, Branding, business branding, business identity, choosing brand colours, logo colours. Bookmark the permalink.